Need fast cash to pay that bill, or take care of an unexpected expense? If you you need fast cash, then you need it fast, you don’t have time to wait for your next payday, you need the loan now. But what about credit checks? Getting all the documents together then waiting for the credit check takes time, and might mean that your payday loan isn’t quite as fast as you were hoping. 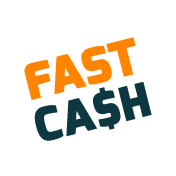 Fast Cash payday loans take the time out of the application process. You simply need to fill in the online application form, and within just hours, your fast cash could be waiting in your account for you. There’s no need to wait, and once you pay back your loan, your bad credit might even start to look a little better! Small, payday loans are easy to get and easy to repay, so you can get out of that sticky situation, and on to the path of a better credit rating, and a better financial future – fast.